LBN 438 is a galactic dark nebula located in the south part of the constellation Lacerta. It is illuminated by interstellar radiation which is known as Extended Red Emission (ERE). 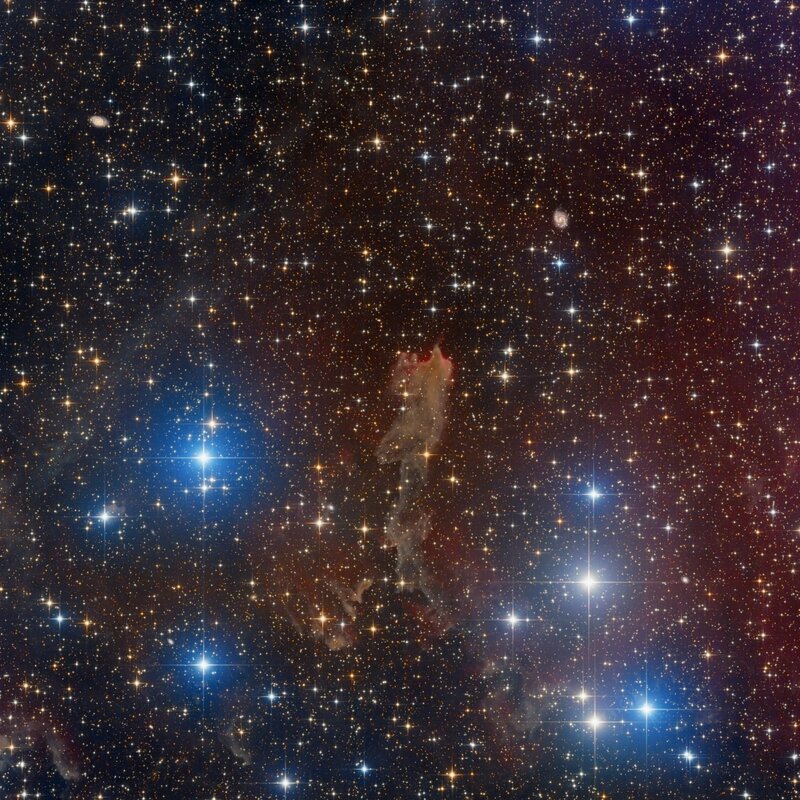 Despite being part of the Lynds Bright Nebula catalog it is very faint. Distant galaxies many millions of light years in the distance can be seen in the top part of this picture.